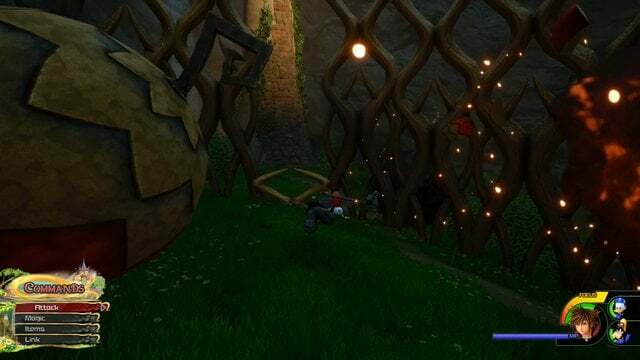 The Heartless boss will fly around a lot but you are able to jump up, glide over, and auto-attack it even when it’s in the air. Keep this up until you have it at half health. It will retreat to the top of the Tower and lock you in a root prison while bombs constantly fall from the sky. 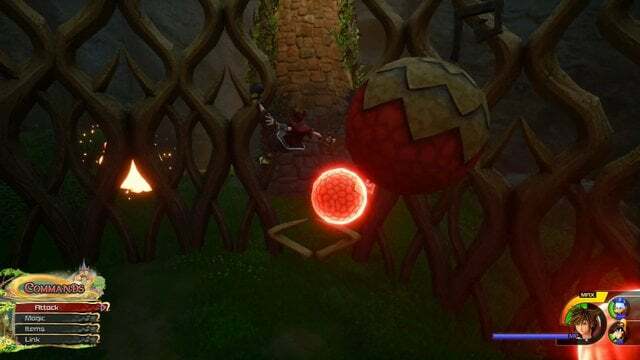 When you get to it, run up the Tower to the top and start attacking Mother Gothel’s Heartless. Rinse and repeat the same attacks and chasing after it until you get it down to its last two health bars. If your health gets low, save your MP for cure and also use rage form if necessary. Dodge the bombs as you run to the Tower. 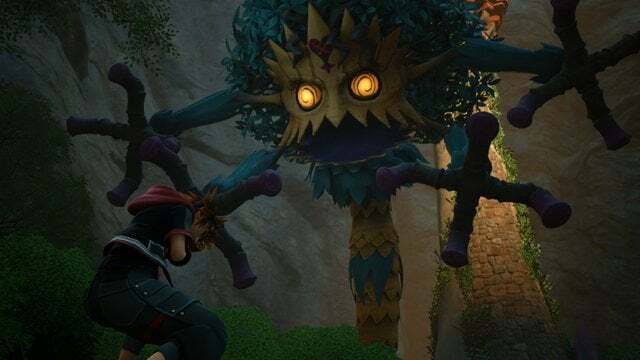 Run up the Tower and attack Mother Gothel’s Heartless. Take out the remaining health and watch the ensuing cutscenes. That concludes the Kingdom of Corona.